Last year saw another whirlwind of changes and developments in search technology, with 65 updates to Google’s algorithm in August and September alone. Developing sites that perform well consumes so much energy that it can be easy to get caught up in the tactical day-to-day changes each time search engines do something new. Companies that will continue to secure top SERPs are those who look at the digital landscape from a birds-eye view and understand the main driver behind Google’s never-ending changes: serving the best possible results to searchers. Since today’s Internet savvy surfer seeks information from a growing number of devices and locations, a constant stream of algorithm updates is necessary and understandable. 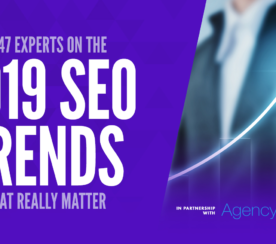 With that in mind, here are my thoughts and predictions for what SEO trends and developments we can expect in 2013 — and how to help ensure that your organization does not get lost in the shuffle. Can a machine actually read an article and have the capacity to make a subjective judgment on whether or not the article was “good” or not? It’s a bit scary, but the answer is a definite maybe. While we are far from turning our national defense systems over to Skynet, search engines are rapidly advancing towards the goal of understanding if your content is actually good. In 2013, search engines will continue to improve their ability to judge the value of a site’s content. Google has become expert at determining what differentiates a great website from a mediocre one, and specifies over 20 stylistic, topical and structural guidelines for content creators to follow. The rankings of sites that engage in tactics that violate these guidelines will be removed, thereby allowing sites that meet the guidelines to rise up in the rankings. Do you have an editorial process? Do you know the difference between an expert and a writer? Does your content have grammatical or spelling errors? 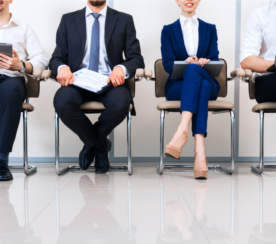 Are you providing new substantial insights? Is your content good enough to be published in a magazine? Social is going to increasingly impact your rankings. In 2013 we will see a greater balance between the weight of factual and social search influences. Engines will consume massive amounts of data about its user’s social presence, including geography, influence, friends and interests. To that end, Google has started to build social signals into search algorithms, and Facebook announced plans to develop a robust search feature using their wealth of social data. Facebook has constructed an interconnected graph of 1 billion human interrelationships, likes and preferences. Privacy issues aside, this is a strategic asset that will impact the future of searches. It is clear that consumers don’t want just the facts, but are increasingly drawn to the opinions and experiences of their peers. So it’s no surprise that high rankings in Google can correlate very strongly with social signals from activity on Twitter, Facebook and YouTube. We’ve only just begun to see how this plays out. It is a necessity. With many sites seeing double-digit yearly increases in mobile traffic, a site that does not conform to the requirements of mobile devices will lose a growing percentage of search traffic. Search engines will be looking for the same elements in a mobile site that they do for a standard website: keywords, title tags, links and quality content. But remember, mobile query strings are, on average, 25 percent shorter than desktop searches. With limited visual space and condensed search tactics, it will be critical to include research, development, optimization and measurement that is strictly focused on the mobile experience. Beyond keyword and linking tactics, consider the mobile user experience and, more importantly, mobile user expectations. Two thirds of smartphone users cited that slow to load websites are one of their biggest frustrations, with 64 percent expecting a site to load within four seconds. Large images and excessive use of flash or animated content will slow the load time of your mobile site and should be avoided. In 2013, we will see Google attempt to answer more complex questions directly in the SERPs with the Google knowledge graph. The simplest way to understand a ‘knowledge graph’ is to examine the top right side of your screen on Google after searching for “Harrison Ford”. You will see a panel detailing Ford’s vital statistics followed by his most popular movies, as well as a list of what “People also search for” that shows suggestions for related searches based on searches of others with similar interests. Still in its infancy, Google’s knowledge graph reservoir is a collection of roughly 18 billion facts on 570 million “objects” presented in a manner that intuitively provides several panels of answers surrounding information commonly associated with your search query. By understanding how to leverage the primary sources of trusted information for the Knowledge Graph, brands can optimize their presence and leverage opportunities for exposure. Wikipedia, one of the top sources of information for Knowledge Graph search, is a great place to start. Develop a high quality, informational Wikipedia page on your brand and validate the page by linking to trusted sources. Notice how this impacts the results on the right hand panel of search results. Take note of the related sources that are displayed to get ideas about how to impact that information. 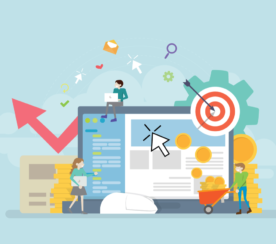 As Google continues to experiment with structuring its information to improve the searcher’s experience, marketers and IT professionals alike will need to craft content that performs well and motivates searchers to go beyond the results page to read the full story. Bottom line, developing relevant and valuable content for your audience will be the key to your success. Content that serves a purpose beyond a purchase or sale — that enables a user to solve a problem — will be a key factor in determining who succeeds in search and social and who falls from ranking grace. 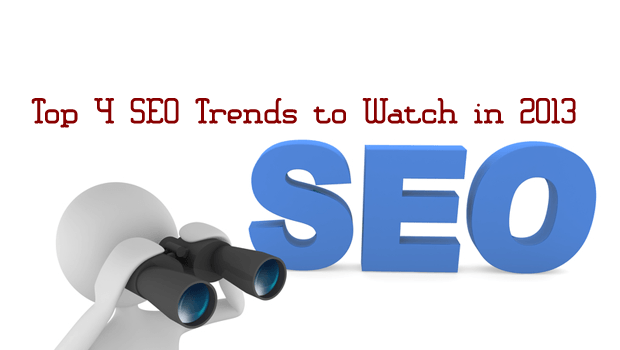 What are some of your SEO predictions for 2013?